The biggest success of Star Wars: Ahsoka has to be the fact that E.K. Johnston gets the character right. 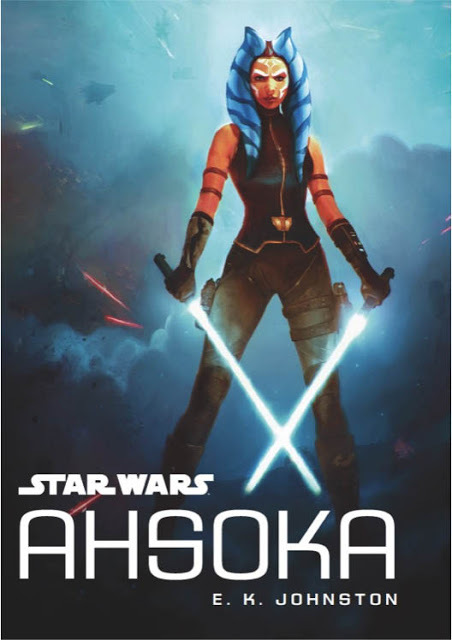 If you’ve enjoyed Ahsoka Tano in the Clone Wars and Rebels TV series, then you’re going to enjoy her in the new novel, too. The novel sets out to “begin to tell” the story of Ahsoka and what happened to her after she left the Jedi Order and survived Order 66. The meat of the novel picks up a year after Order 66, and we get a sense of what life has been like for Ahsoka since then, as well as the story of how she comes to the attention of Bail Organa and the rebellion. As a result, there’s still a huge gap of time in between the end of the novel and the beginning of her appearances in Rebels – a good 13-14 years or so. But there’s only so much a novel can do, and a young adult novel at that. Likely because it’s YA, it’s not as deep or intricate or densely plotted as, say, Star Wars: Bloodline or an Aftermath novel. If you approach it with that understanding, you’ll enjoy it all the more. For the most part, it’s a solid book that gives readers what they’re hoping for. It moves quickly, and features a lot of interesting tidbits in the interludes interspersed throughout. If you’re an Ahsoka fan, you’ll dig it. If you are or know a younger reader, they’ll be able to grab ahold of this and dive right in easily. It’s a less intimidating read than Lost Stars was as a YA novel, with less adult-themed content, too. All in all, a fun and quick read. Over the next couple of days, I’m going to dig deeper into the book and the details it tells us about the state of the galaxy one year after Revenge of the Sith, and what it says about the overarching Star Wars story. 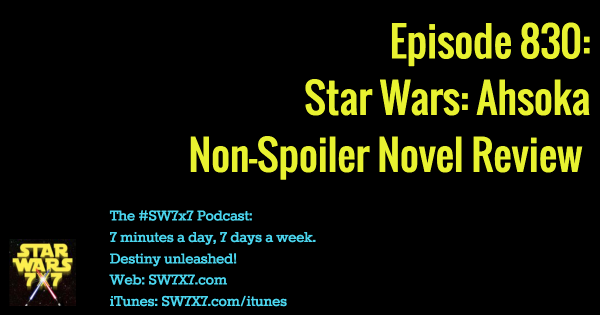 Those have the potential to be spoiler-filled podcasts, so listen accordingly! Today’s question: How many rathtars were killed during the ruckus between Han/Chewie and Kanjiklub/Guavian Death Gang?